As most of you know, we are rarely home more then a week at at time. Since we are always on the go, I never have time to go to the store. I feel like I am always running behind on getting things I need. At the beginning of last year my husband turned me onto a subscription services for razors (the only bad thing is that is was for men). I wasn’t being picky though because the convenience of having them mailing to the house made my life so much easier. I will be honest and say that my skin did suffer a bit from the decision to use men’s razors. Saying that, I am so excited to tell you about in this post! 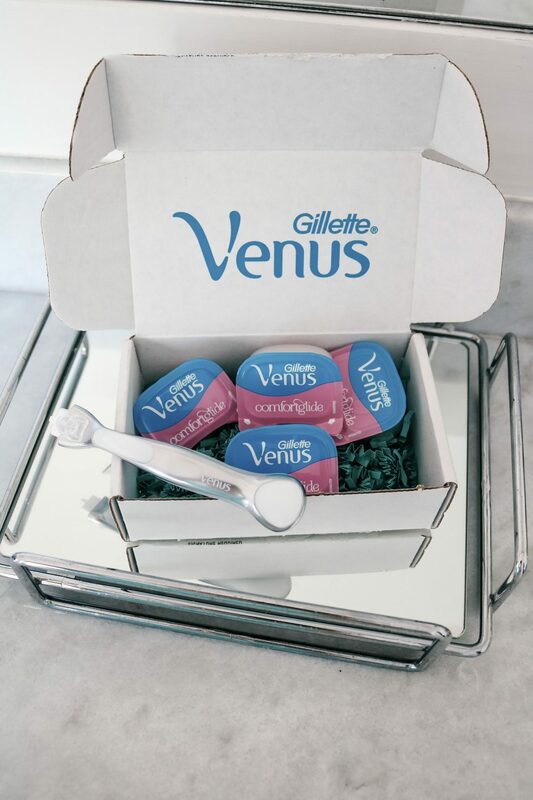 There is now a subscription service for women and not just any service but one from my favorite razor brand Gillette Venus Razor. When I found out that they are now delivering womens razors to your door, I went and cancelled my silly men’s one IMMEDIATELY. Pictured above is the package you will receive when you first sign up. 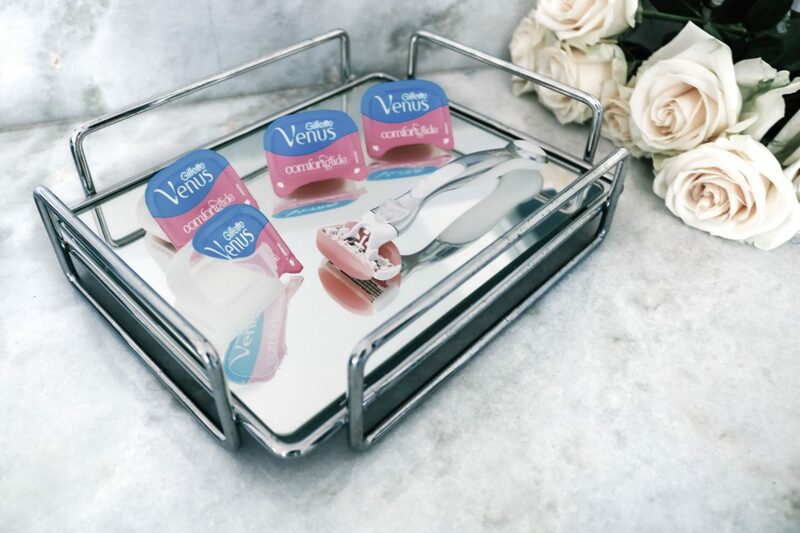 It comes with 4 Venus blades and a beautiful Venus Platnium handle as one of your choices. It is also nice that the Venus blades all come in their own packages and you don’t have to lug around 4 or so blades at the same time. Again, great for someone that is always on the go…like me. -Olay Moisture (which has five blades and a flexible moisture bar with built in body butter and Olay moisture). *Each one of the blades are built to fit any Venus handle. What makes this service one step ahead is that you can completely customize your entire package from handle, to blades and extra features. It is a simple 3 step process that is fast and easy. You also get FREE fast delivery. It will deliver based on how often you shave. So like me before, you won’t be stuck realizing you are out of blades and have to run to the store or go without shaving for a few days 🙈! Get ready for it, PLANS START AT ONLY $10 A MONTH. If for some reason you don’t like it you can cancel at any time- no questions asked (which I doubt will happen once you try this amazing service). 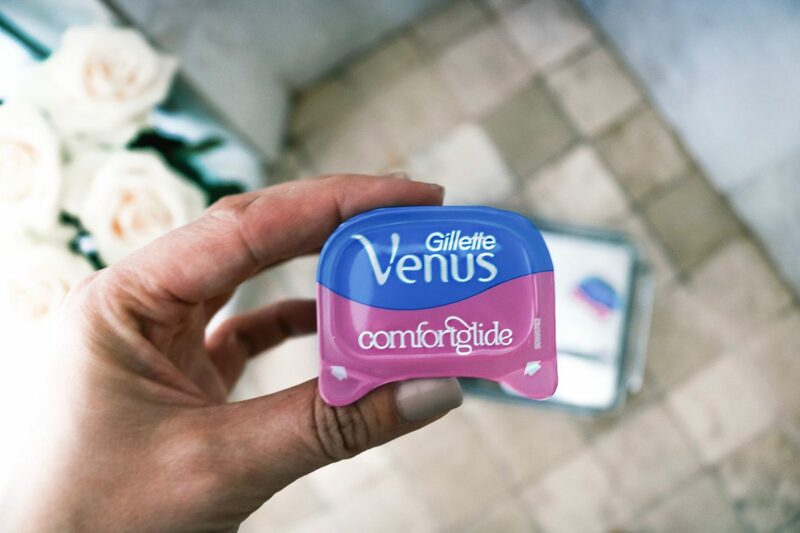 Click Here to see just how easy it is to sign up for your own Gillette Venus Subscription. I hope you all have a wonderful week ahead ! This post was sponsored by Gillette Venus. I’m using the same shaver and I’m totally happy with it. 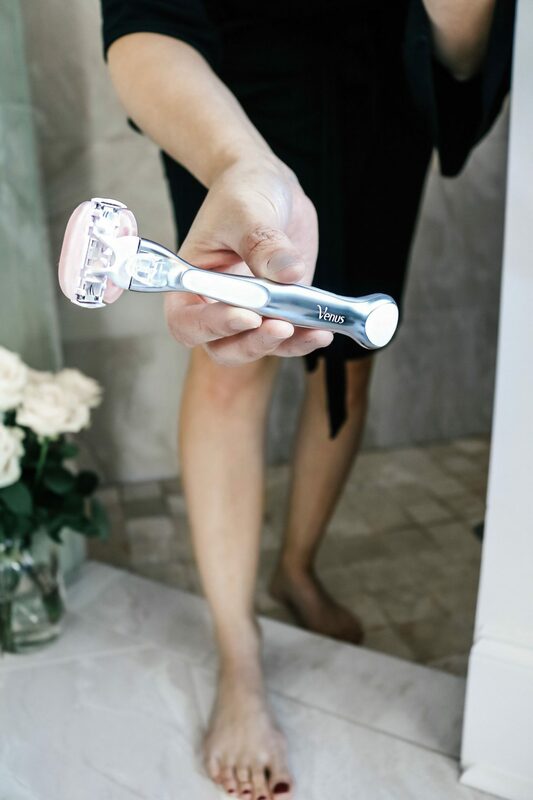 So smooth and easy to shave the legs! I have a Venus razor and I really like it. I think I have the original blade on it, but not sure. I had no clue Venus had a subscription service! Gilette Venus is my favorite razor! We are always in shortage of razors around here (our dog always seems to find and chew up the handles) and I love that they are now offering a service to deliver it right to your door! How interesting to know about this subscription. This looks really good. I’d love to try this myself. Thanks for sharing dear! This is such a good post! Gilette is such a good brand! This is Jenni from voogueme.com. I must admit, I like your post and thanks for sharing. O yea! Gillette is my favourite brant for razor!